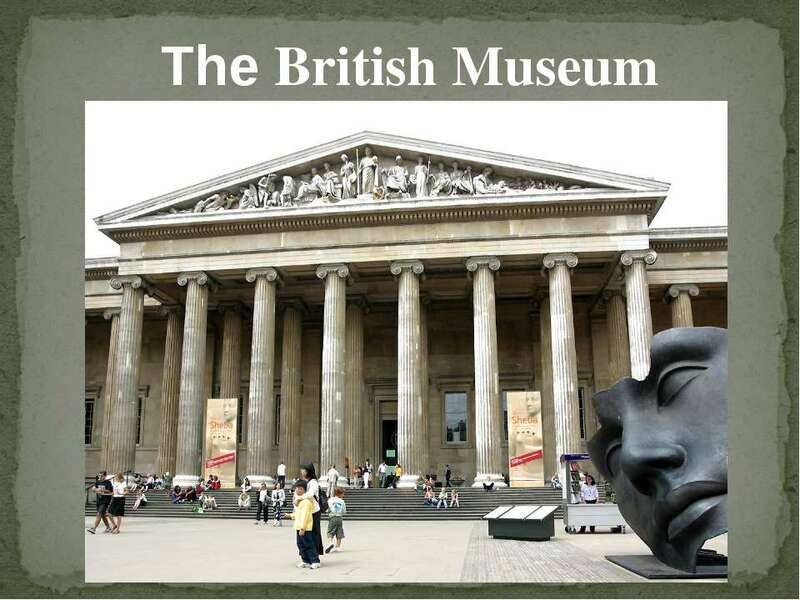 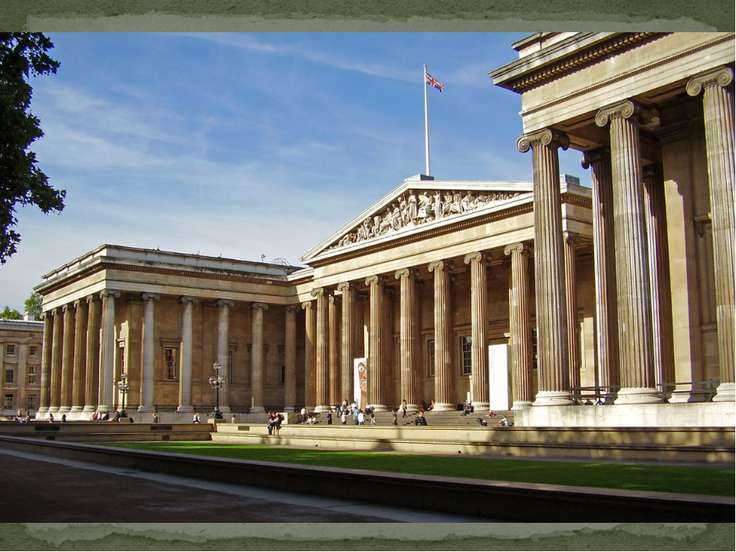 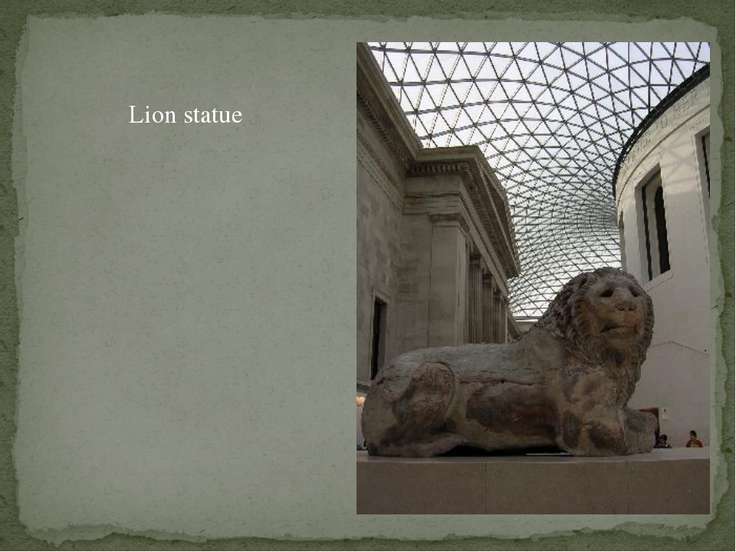 The British Museum in London is a museum that displays the human history as well as culture. 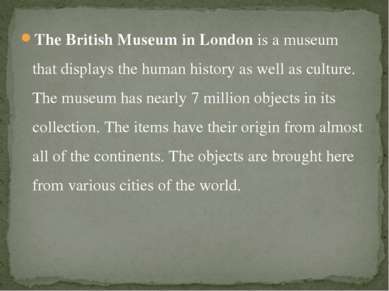 The museum has nearly 7 million objects in its collection. The items have their origin from almost all of the continents. 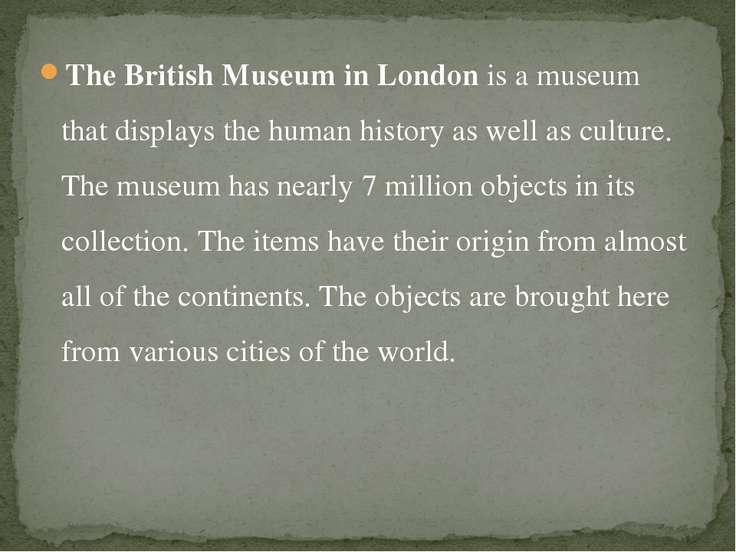 The objects are brought here from various cities of the world. Established in the 17th century the British museum is mostly based on the collection of Sir Hans Sloane. 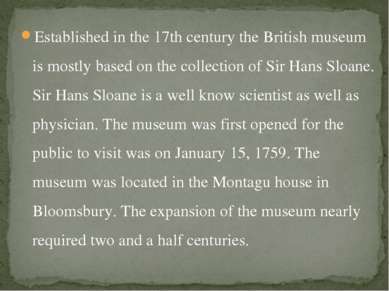 Sir Hans Sloane is a well know scientist as well as physician. The museum was first opened for the public to visit was on January 15, 1759. 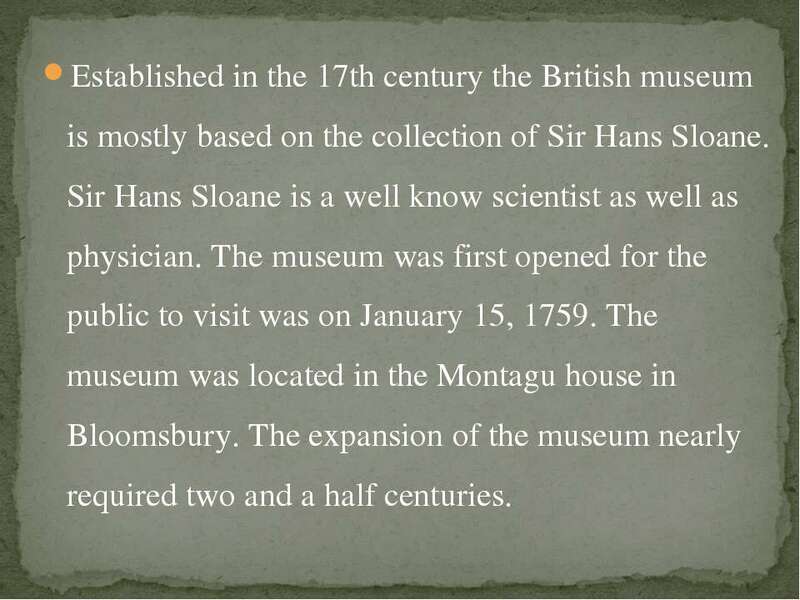 The museum was located in the Montagu house in Bloomsbury. 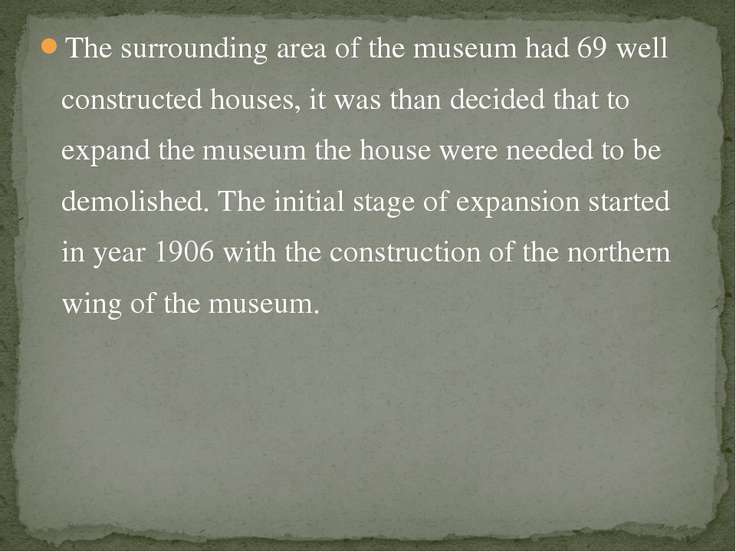 The expansion of the museum nearly required two and a half centuries. 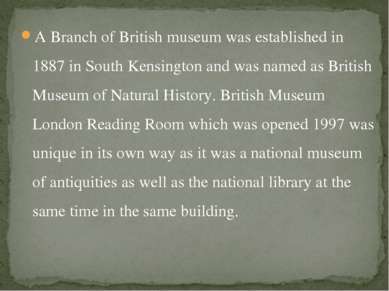 A Branch of British museum was established in 1887 in South Kensington and was named as British Museum of Natural History. 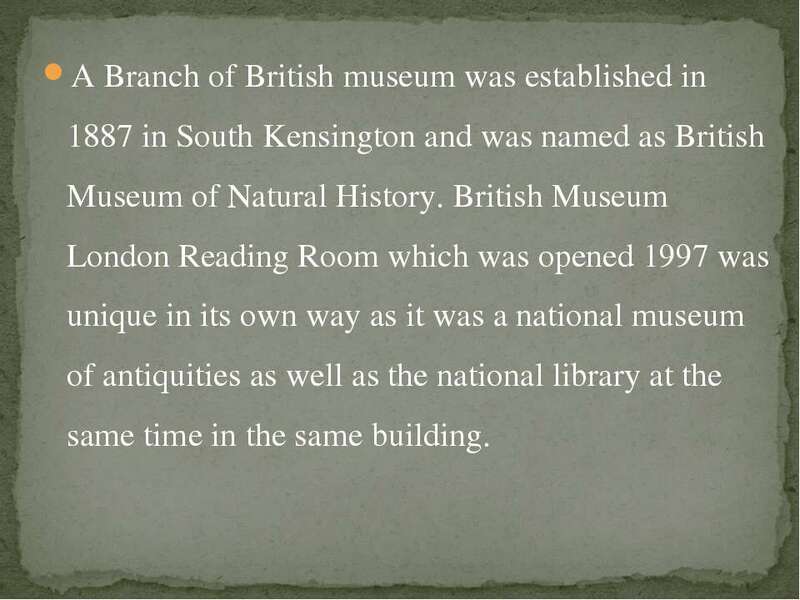 British Museum London Reading Room which was opened 1997 was unique in its own way as it was a national museum of antiquities as well as the national library at the same time in the same building. 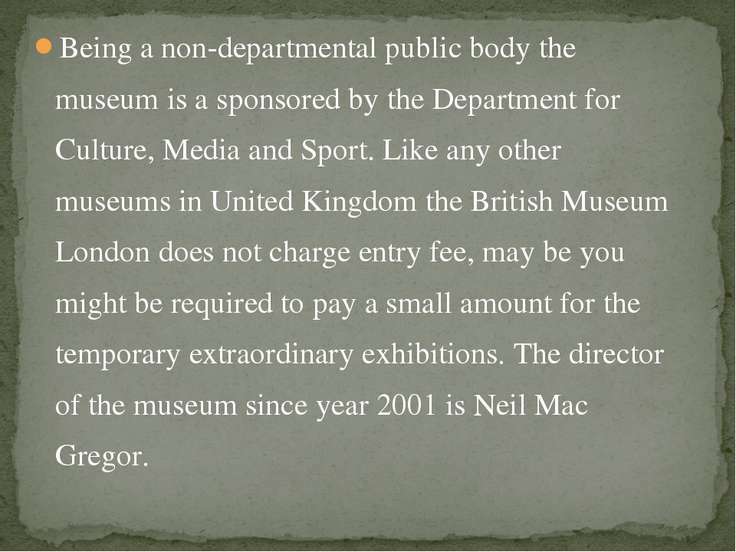 Being a non-departmental public body the museum is a sponsored by the Department for Culture, Media and Sport. 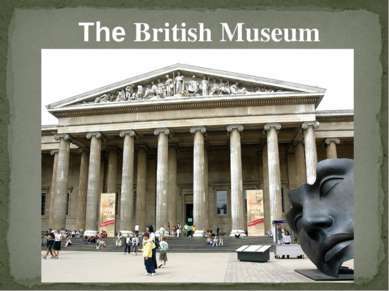 Like any other museums in United Kingdom the British Museum London does not charge entry fee, may be you might be required to pay a small amount for the temporary extraordinary exhibitions. 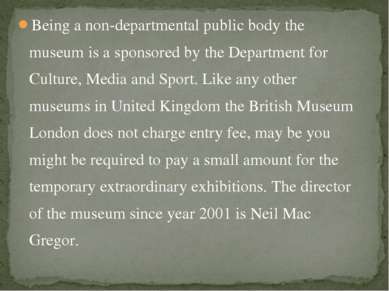 The director of the museum since year 2001 is Neil Mac Gregor. 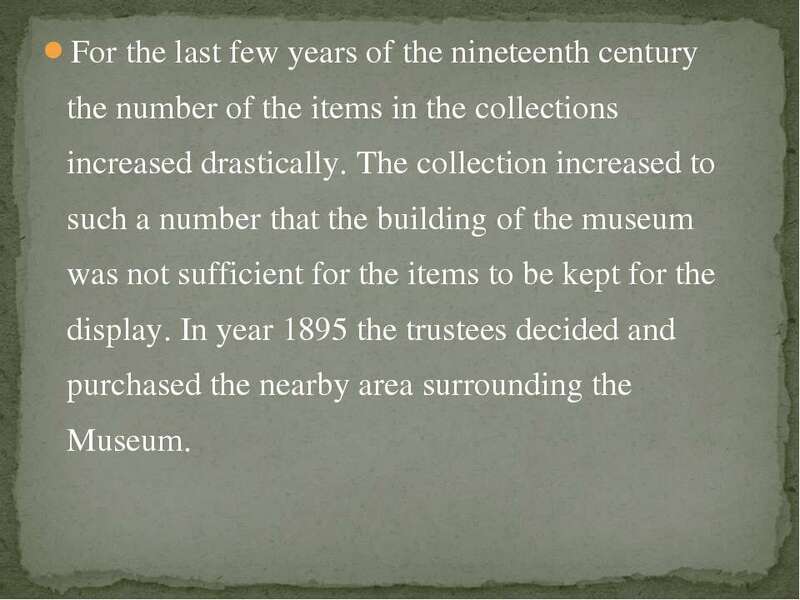 For the last few years of the nineteenth century the number of the items in the collections increased drastically. 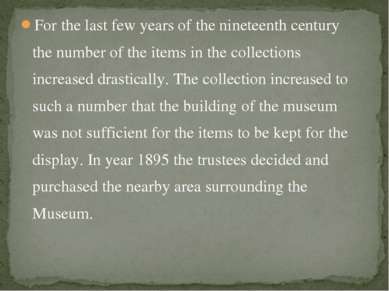 The collection increased to such a number that the building of the museum was not sufficient for the items to be kept for the display. In year 1895 the trustees decided and purchased the nearby area surrounding the Museum. The surrounding area of the museum had 69 well constructed houses, it was than decided that to expand the museum the house were needed to be demolished. 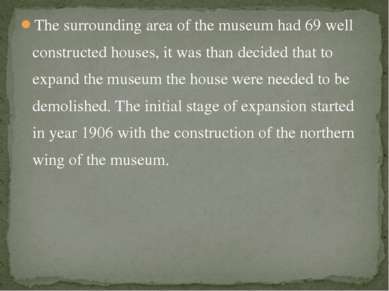 The initial stage of expansion started in year 1906 with the construction of the northern wing of the museum. 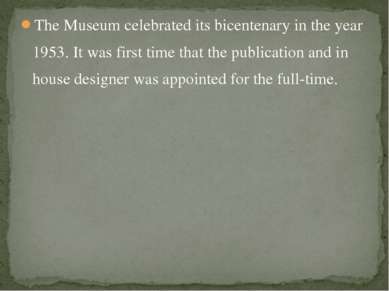 The Museum celebrated its bicentenary in the year 1953. 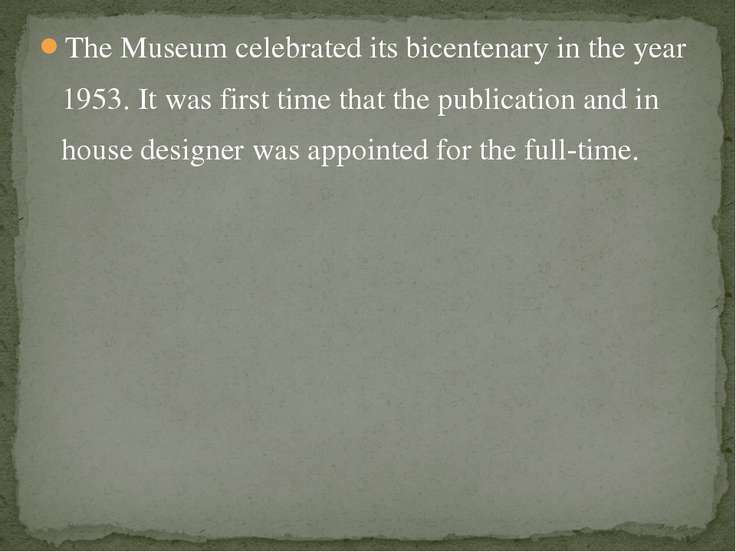 It was first time that the publication and in house designer was appointed for the full-time. They were appointed in the year 1964. 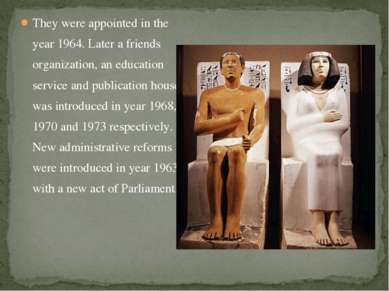 Later a friends organization, an education service and publication house was introduced in year 1968, 1970 and 1973 respectively. New administrative reforms were introduced in year 1963 with a new act of Parliament. 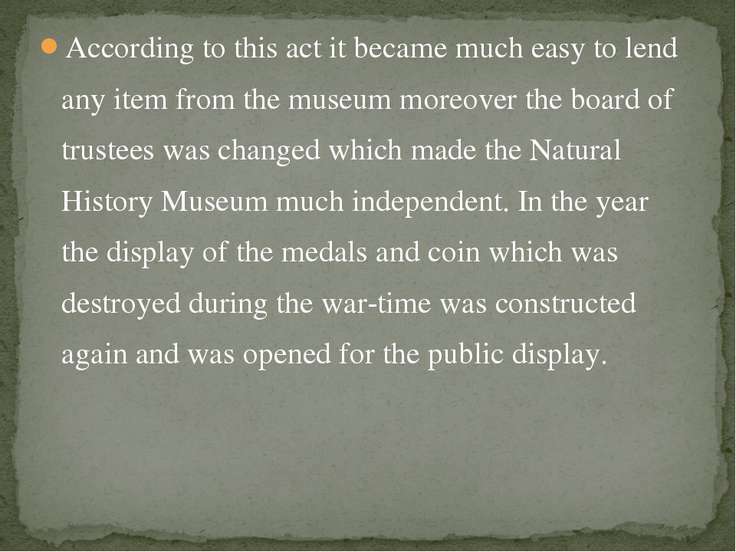 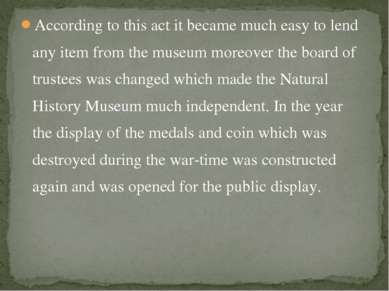 According to this act it became much easy to lend any item from the museum moreover the board of trustees was changed which made the Natural History Museum much independent. In the year the display of the medals and coin which was destroyed during the war-time was constructed again and was opened for the public display. 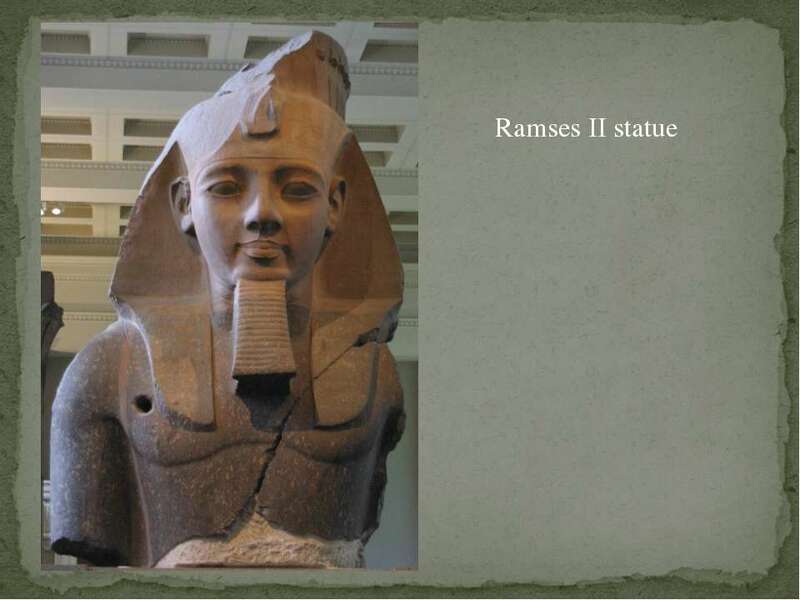 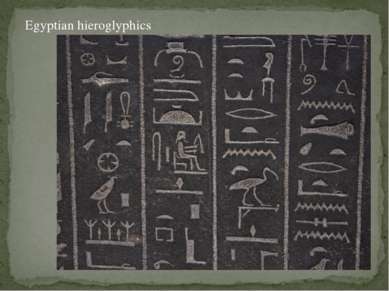 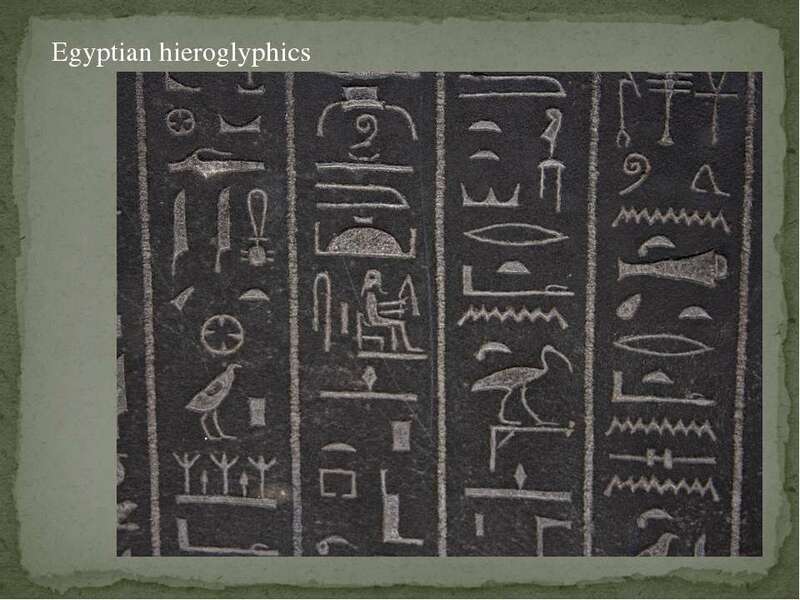 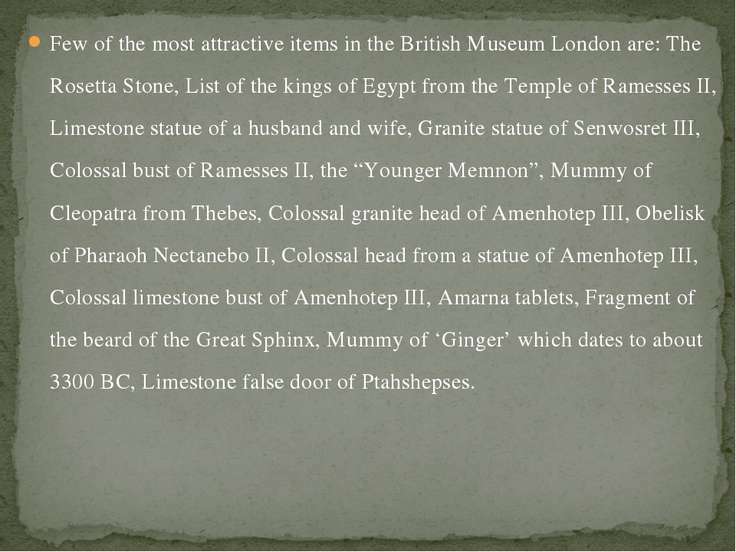 Few of the most attractive items in the British Museum London are: The Rosetta Stone, List of the kings of Egypt from the Temple of Ramesses II, Limestone statue of a husband and wife, Granite statue of Senwosret III, Colossal bust of Ramesses II, the “Younger Memnon”, Mummy of Cleopatra from Thebes, Colossal granite head of Amenhotep III, Obelisk of Pharaoh Nectanebo II, Colossal head from a statue of Amenhotep III, Colossal limestone bust of Amenhotep III, Amarna tablets, Fragment of the beard of the Great Sphinx, Mummy of ‘Ginger’ which dates to about 3300 BC, Limestone false door of Ptahshepses.